Oils, Vinegars, & Citrus are the foundation of every sauce and every dressing. If you use the right kinds of oils, they provide essential fats that are crucial for good nutrition. There is a wide variety of oils to choose from that all have distinct flavors and properties. It was tough for me to get used to not using a wide variety of vinegars and cooking wines due to the sugars in them (See the Elimination Diet and Anti-Nutrients pages). However, I found you can do a lot with a little. There are 5 oils that I use. You can also create flavored oils using fresh (dried) herbs. Culinary Uses: Can be used for sautéing or making a rue. Therapeutic Properties: Antifungal, antibacterial, antiviral. Nourishing for skin. Raises “good” cholesterol and lowers “bad” cholesterol. Anti-inflammatory. Great source of essential fatty acids. Note: See the Substitutes and Supplements pages for more information on the benefits of Coconut Oil. Therapeutic Properties: None. Can cause sensitivities. Does not contain Casein. Flavor only. Culinary Uses: Can be used for sautéing, sauces, or salad dressings. Therapeutic Properties: Rich in essential fatty acids, increases nutrient absorption. Excellent Source of Magnesium. Great for skin and hair. Therapeutic Properties: Good for cardiovascular health, reduces blood pressure, reduces cancer risk, source of essential fatty acids, helps control diabetes. Great for skin and hair. Therapeutic Properties: Good source of Essential Fatty Acids, reduces Cancer risk, anti-oxidant. Seeds are a good source of Calcium, Folic Acid, Iron, Magnesium, Manganese, Niacin, Zinc, and Selenium. There are only two vinegars that I use, and I use them sparingly. Culinary Uses: Can be used for salad dressings and sauces. Therapeutic Properties: Low glycemic, good source of amino acids, minerals, Vitamin C, B Vitamins, and FOS (a prebiotic). Therapeutic Properties: Antifungal properties, helps with digestion, promotes detoxification and immune support. 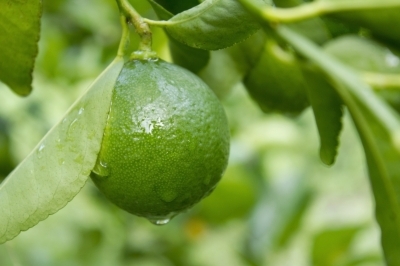 Citrus can be used in place of vinegar for tartness and adds flavor to anything. You can use it for water, butter, dressings, and marinades. Culinary Uses: Can be used for salad dressings, sauces, zest, juice, or for garnish. Therapeutic Properties: Antiviral, antibacterial, diuretic, induces liver detoxification enzymes, helps with arthritis. Helps with water elimination, cellulite, and disinfects the air. Also helps with nightmares. Culinary Uses: Can be used for salad dressings, sauces, zest, juice, or in salads. Therapeutic Properties: Antiviral, relaxing, anti-depressant. Therapeutic Properties: Antibacterial, antifungal, antiviral, diuretic, uplifting. Room disinfectant. The foundation to every dish!